It's been a turbulent year for Kimye. 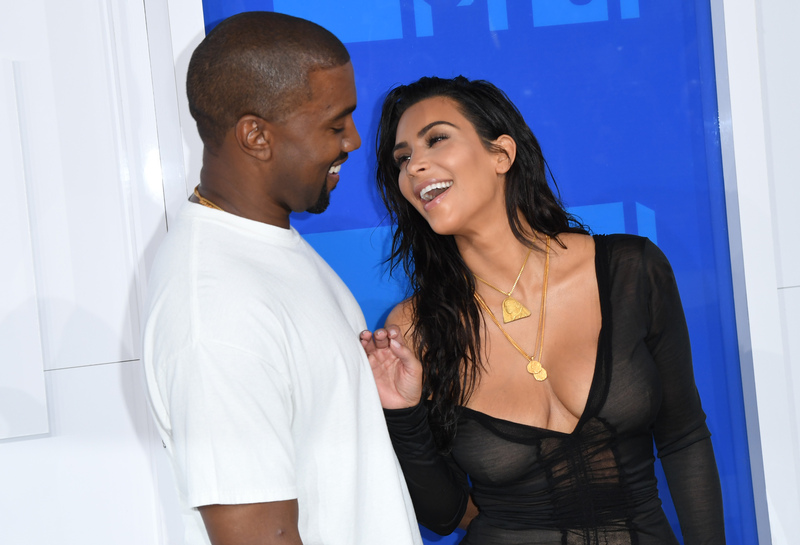 Given Kim Kardashian's Paris robbery and Kanye West's recent hospitalization, it would have been understandable if the glamorous couple had decided to celebrate in a low-key fashion. Heck, or even if they'd opted to skip celebrating altogether in favor of a few days resting in bed instead. However, Kardashian and West's Christmas decorations tell a different story — the couple appears to be getting geared up for the holidays in a big way. It may sound surprising at first, but when you think about it, this makes sense. While Kardashian has been keeping her appearance on social media to the absolute minimum following the robbery, she has continued to go out and do her thing. The fact that the family is still celebrating with their flair for extravagance was confirmed by Kardashian's friend Jonathan Cheban, who paid the couple a visit at their LA mansion and was so gobsmacked by the sheer grandeur of the decorations that he shared his awe with the world via Snapchat. Holy moly, that tiny plastic Christmas tree you tried to fancy up your apartment with is starting to look pretty pathetic in comparison, huh? Bask in the glory of this big, gorgeous beast (the tree, not Cheban). Feeling Christmas-y yet? Well, if you're not, rest assured that Kim K is. Kardashian apparently ventured out to a party at the Forum in Los Angeles on Wednesday to show her support for her friend Shelli Azoff, who was hosting the event. However, even there she remained unwavering in limiting her presence on social media. While one photo of Kardashian at the event appeared on her friend Margaret Weitzman's private page, the post has reportedly since been deleted. It's heartening to see that the family is still celebrating the season in style. Just because Kardashian doesn't want to be too visible online at the moment doesn't mean that she should have to spend all of Christmas at home. Similarly, just because it was a tough year doesn't mean she should have to skip turning her mansion into what is basically the architectural equivalent of a disco ball or buying the world's biggest Christmas tree. Just looking at these posts have left me feeling all sorts of festive. Hopefully the couple is getting similarly buzzed for Christmas putting up these decorations.